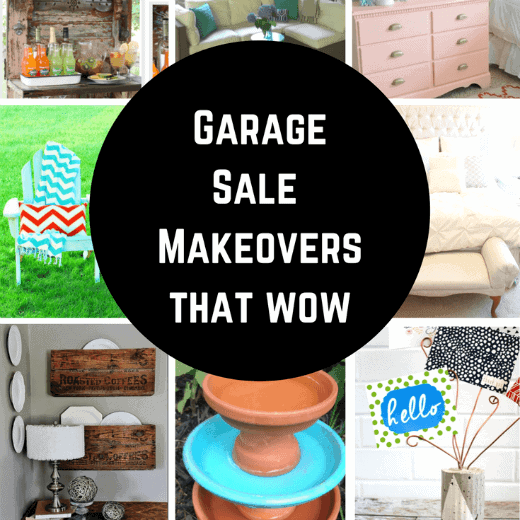 Home » DIY & Hacks » DIY » Garage Sale Makeovers that Wow! 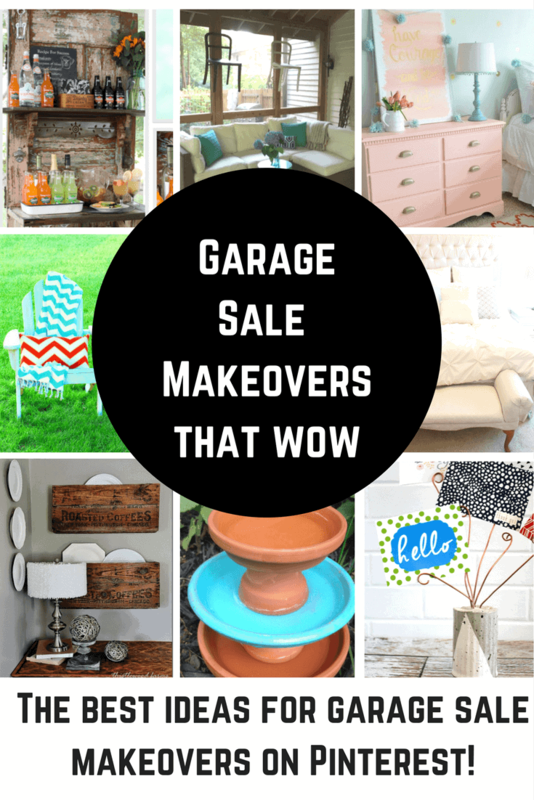 Garage Sale Makeovers Totally Impress Me! I don’t know what it is about taking something that has seen better days and totally transforming it or improving it beyond its wildest dreams. Maybe it is the part of me that believes that you can find beautiful in anything if you look hard enough. Some of you call this process junking, thrifting, or going yard sale-ing. When you take your precious find and make it all shiny and new it can be called trash to treasure, upcycled, recycled, junk-tique… I just call it a garage sale makeover. 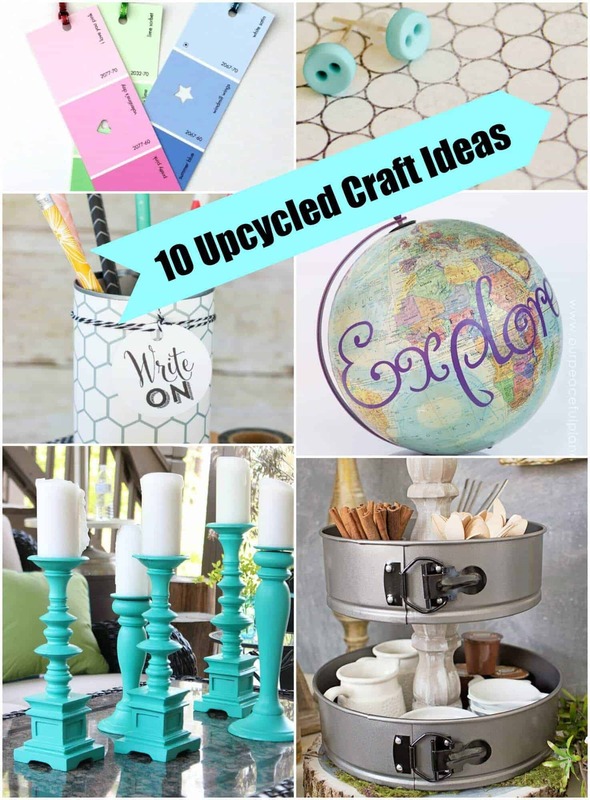 I love these ideas and I can’t wait to hear what you think of them, too! 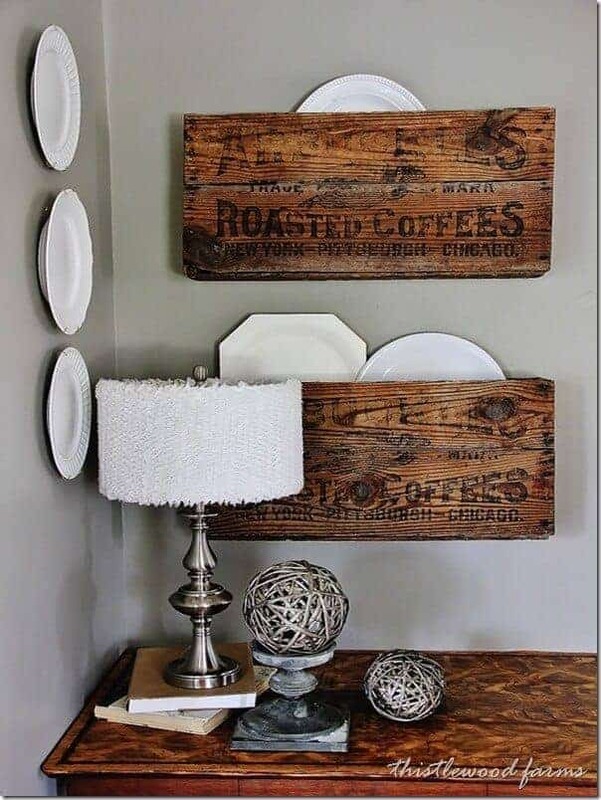 I love how Thistlewood Farms took an old coffee crate that she found at a garage sale, cut it in half and made it into hanging organizers. What a smart idea and it makes organization so beautiful, too! 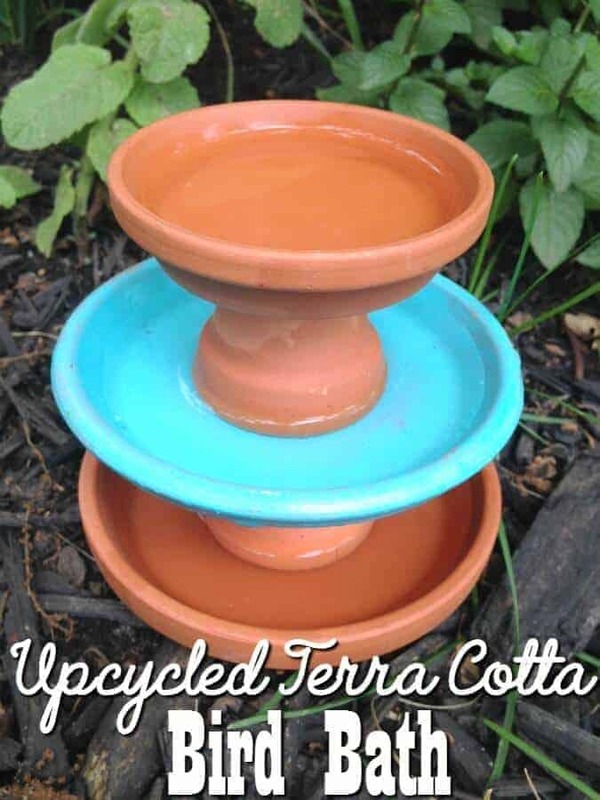 Six Dollar Family took some random parts and pieces of terra cotta planters and turned them into an upcycled bird bath. 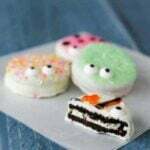 I don’t know about you, but this is such a cute project and is definitely one for the birds! Sorry… I couldn’t help myself. Sometimes those totally off the wall finds that you see at a garage sale can actually become beautiful works of art with a little paint and tender loving care. 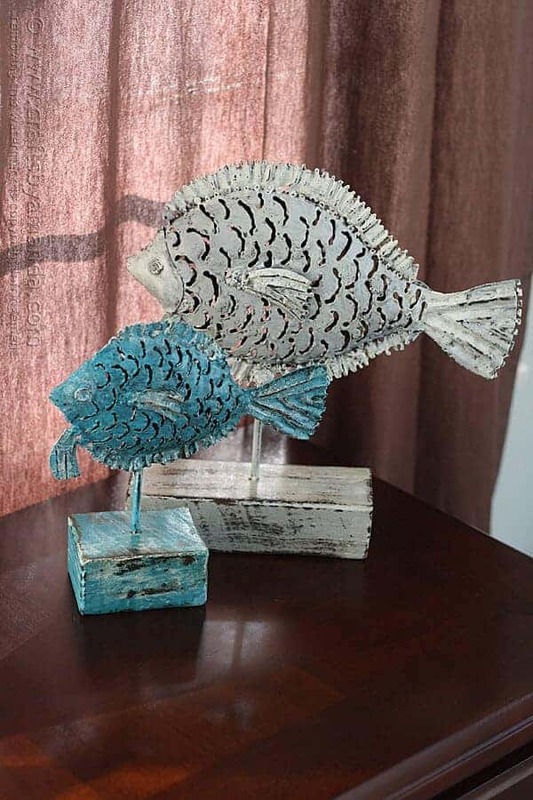 Crafts by Amanda found these two fish statues that were a little bland and made them into these coastal cuties. 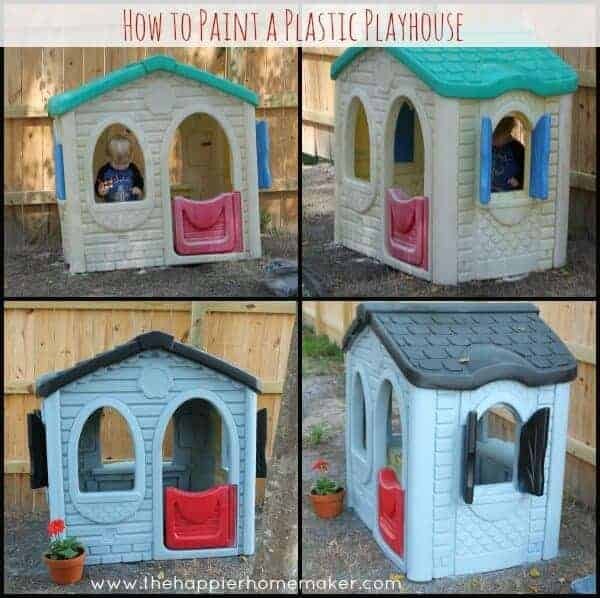 How many Little Tykes plastic playhouses have you seen on the side of the road or at a yard sale that you’ve just passed by knowing it had seen better days. 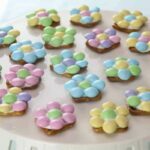 The Happier Homemaker says… “I’ll take it”. She did, she gave it a new coat of paint and even a plant and it has served her boys well for ages. 365 Days of Pinterest found an old beat up desk at a garage sale and she turned it into this wonderful find for her son. 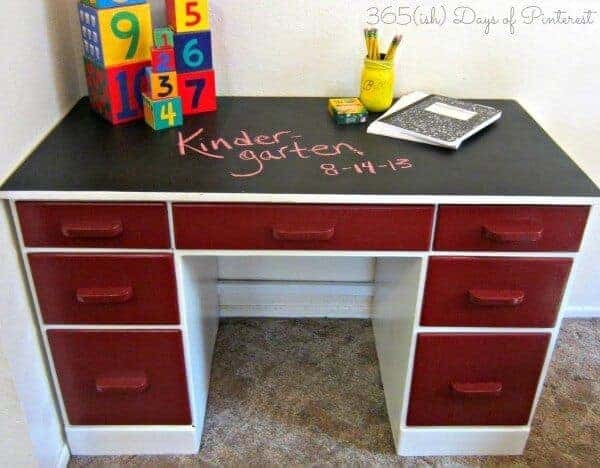 She even painted a top coat of chalkboard paint. I love it and I’m sure that her son does, too! The Gunny Sack is one smart cookie and knows that sometimes garage sale finds just need to be washed well, painted and accessorized. She knew that when she found this pair of adirondack chairs that had seen better days, that they were a worthy cause. I’d say she has a keen eye and I adore the color she chose to paint them. Those red chevron pillows are mighty cute, too! Laura from Finding Home Farms was tired of pulling out an old card table when it came time to entertain and serve drinks. 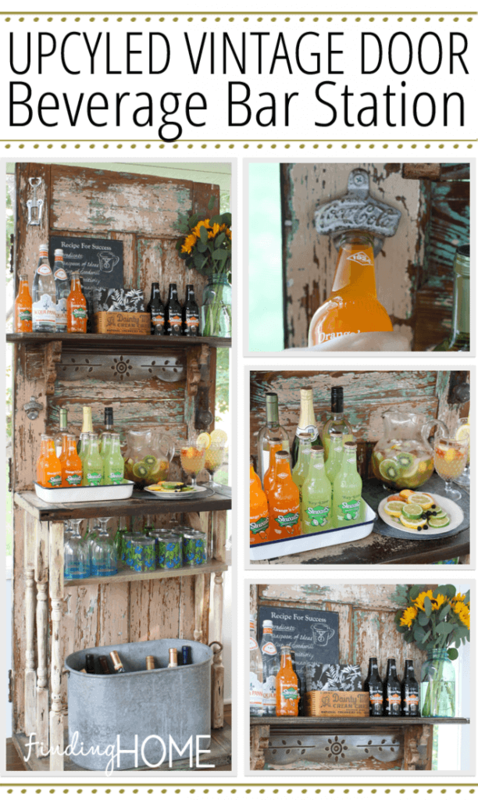 When she found some amazing vintage finds, she decided to create a beverage station out of an old door and moulding pieces. Isn’t it fabulous! This wasn’t found at a yard or garage sale, but it was a fabulous thrift store find by Frugality Gal. She said goodbye to the old seventies side table and made an amazing upgrade. I love how it turned out and all the elbow grease was totally worth it! Are you guys ready to be enchanted? 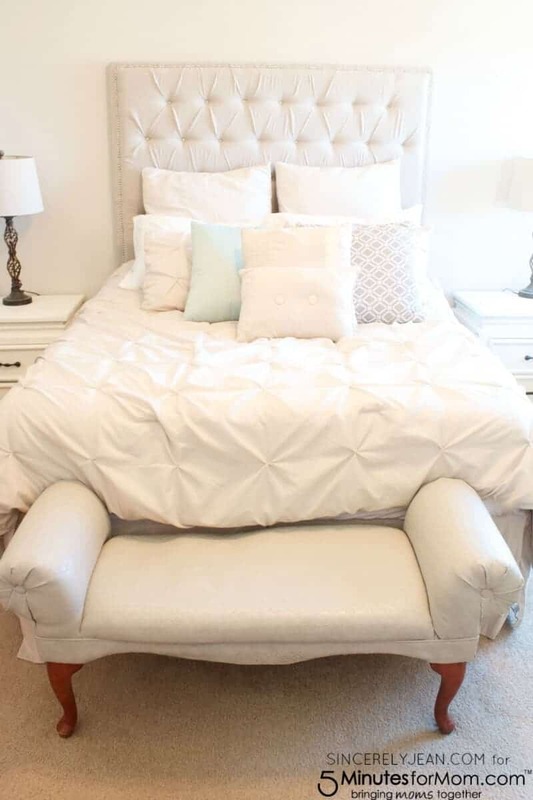 Fancy Farm Girls featured their fancy farmhouse bedroom makeover on How Does She and it was so beautiful. They literally thought of every detail. 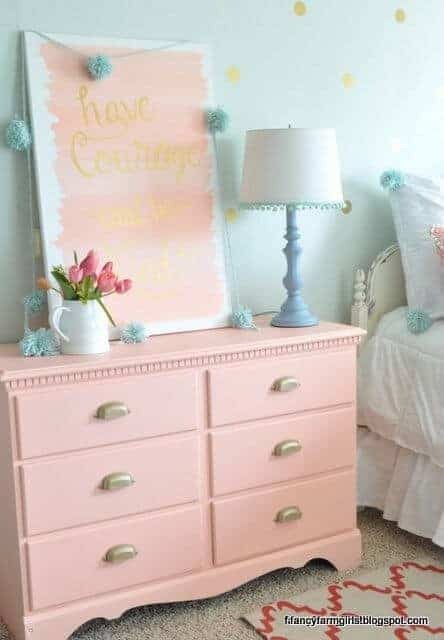 My favorite part is the dresser that was found at a yard sale and taken from totally granny to totally little princess peach gorgeous dresser of anyone’s wildest dreams. I love it… that color is amazing! Vikalpah found a chipped and ancient floor lamp at a garage sale and it was written in the stars that she would update it into a galactic upcycled lamp. A little spray paint takes away so many ancient memories. Okay… it is official… I’m ready for warm weather and gatherings on the back porch. 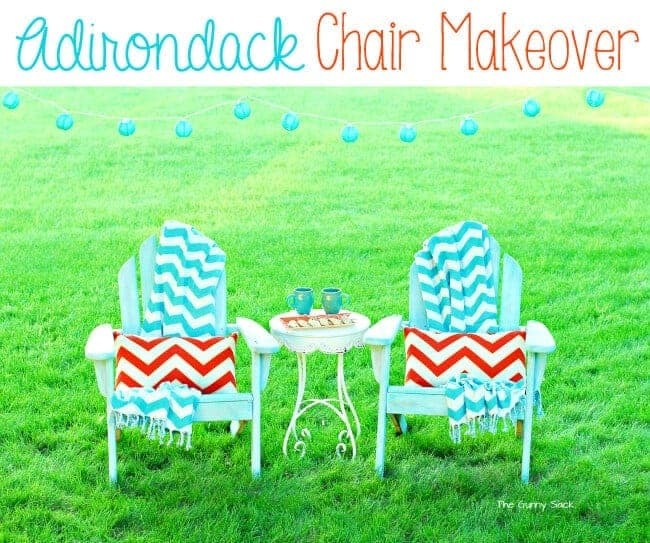 Today’s Creative Life spruced up her back porch on a time and I love how she took these chairs found at a garage sale, gave them a coat of paint and hung them for extra seating when needed. 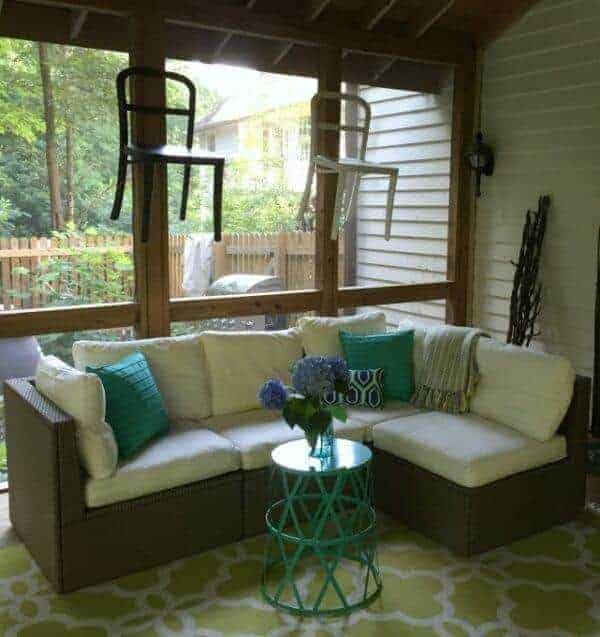 When they are not needed, there is loads of space to move freely on the porch and they have a little art on the walls so to speak. Really creative idea and I may have to try this one if I can find a pair of beauties like these. You guys have to click on over and see the before on this project. It was definitely channeling the 90’s forest green vibe. Guess how Five Minutes for Mom was able to switch it from drab to fab? Painting the fabric and placing in her ultra serene bedroom that now has a smashing bench at the end of the bed. I really love this garage sale find and the end product is sweet! 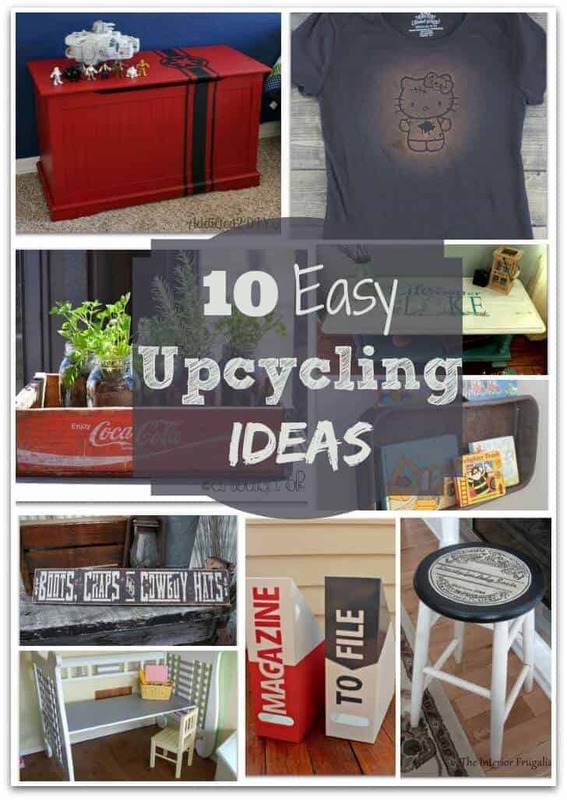 I hope you have found something that is inspiring you to have fun at a garage or yard sale and find something to make your very own!